Immigrating to the United States and establishing citizenship can be a long, complicated process. There are a significant number of intermediate steps in between the initial application and the granting of full citizenship, and navigating this process on your own can be challenging. That’s why many individuals and families turn to experienced immigration attorneys to get the help they need. There is a wide range of different challenges that may make it difficult for a person to become a U.S. citizen, but a qualified legal professional can help to remove these obstacles and speed up the process. If you are applying or considering applying for citizenship in Austin, the lawyers at the Law Office of William Jang, PLLC, know just how much the success of your application may mean for you and your family, and we are committed to helping our clients through every step of the application process. Unfortunately, even a small mistake at any stage of the application process could result in long delays or even a full rejection of your application. Fortunately, by working with an experienced legal professional, you can avoid these common mistakes and receive the best chance possible of having your application for citizenship approved. If you are considering applying for citizenship in the United States, many people find that the process is confusing and unnecessarily complicated without the help of an experienced immigration attorney on their side. At the Law Office of William Jang, PLLC, we have helped so many others like you and their families achieve their ultimate goal of becoming citizens here in the United States. If you are interested in beginning an application for citizenship, or if you have already started your application and have questions, contact an immigration attorney from our team today. We provide knowledgeable representation for our clients while communicating with to make informed decisions during the citizenship process. We can assist you through the entire citizenship process while helping you avoid common mistakes that could delay the process. Our attorneys understand that you may have a lot of questions regarding obtaining citizenship and through the citizenship process; therefore, we are here to help you with every step of the way. 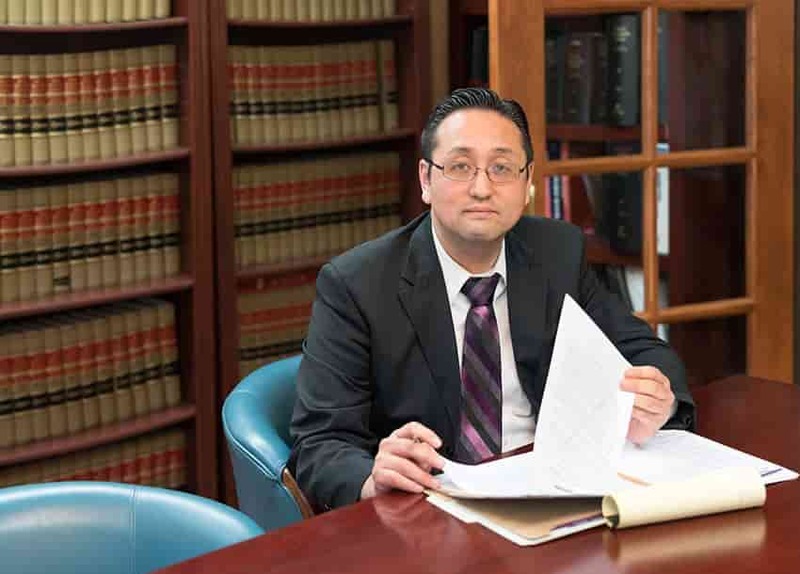 What sets us apart from other immigration attorneys are that at the Law Office of William Jang, PLLC, we are dedicated the success of every one of our clients, and we work hard to make the process as easy as possible for you. Our attorneys have decades of combined legal experience working with individuals seeking citizenship. We are dedicated to providing legal representation to immigrants and aliens wishing to make the United States their permanent home. How long will my application for citizenship take to complete? While a simple Google search may give you a generic answer of 6 months, this is often highly inaccurate. With more and more people migrating to the United States, the overall process to become a citizen has become longer and longer. The process can take anywhere from 6 months to a year or long dependent upon some varying factors. Depending on your background, where you live, how many other applicants apply during the same time of year, or even all the applicants who have applied before you can cause your road to citizenship take a little longer. However, these are all factors that cannot be avoided. A huge element that can be prevented and can seriously affect the time of your application is mistakes in your application. Therefore, it is essential to have an experience citizenship attorney by your side to ensure that your application is mistake free before you submit. How much does applying for citizenship cost? Applying for citizenship is not cheap, but with the help of an attorney, we can help you avoid costly mistakes that could cause your application to be denied and force you to re-apply and repay the application fees. The primary application for naturalization costs $725 in total. This includes the $640 citizenship application fee and the $85 background check and biometric fee. Can I travel outside of the United States while in the citizenship process? To qualify for citizenship, you must have residency in the United States for five years or three years if your spouse is a United States resident. With that being said, you must comprehensively document every single time you are out of the country in your citizenship application. You can travel outside of the United States while you are in the citizenship process. However, if your trip last longer than 180 consecutive days, your application may be denied because it can be determined that you do not continuously reside in the United States. What if I miss a Biometrics or Interview appointment? Missing an appointment related to your citizenship application can have severe consequences and delay your application, if not have your application denied. Our attorneys understand the severity that a missed appointment may cause and we are dedicated to ensuring that our clients have a date that works for them and provides that they can attend each meeting. Having your application be denied because a missed appointment is entirely preventable with proper planning and reminders. We ensure that you maintain communication with the USCIS to avoid any missed appointments. What are reasons my application could be denied? There are a wide variety of reasons your application could be denied, but an immigration lawyer can take care to ensure that your application is flawless. If you have incorrectly filled out a portion of the form, the USCIS could decide that your application is fraudulent. A simple mistake in spelling or wording could seriously affect the status of your application. A missed biometrics appointment or interview, criminal background history, and traveling outside of the United States for too long can also be reasons to have your application denied. According to the Migration Policy Institute, Texas received one of the highest numbers of immigrants each year, second to California. In 2015, Texas welcomed 4.7 million immigrants. With this number of immigrants coming into our state each year, it is critical to making sure that your application is mistake free to avoid delays. The United States Citizenship and Immigration Services (USCIS) reports that in the past three years, the United States approved 2.3 million citizenship applications. However, the United States also denied 224,00 permanent residents in that same time span. There were total 4,736 applications received. 4,027 applications were approved during this time. 12,905 applications are still pending awaiting a decision at the end of the reporting period. While the ratio of approved application and denied applications is relatively low, you do not want to be one of the applications that are denied. The 12,905 applications in the system are staggering, and our attorneys can work to ensure that your application is processed as quickly as possible. If you need help with any legal issues relating to your citizenship status, our dedicated legal team is prepared to take your case. Contact the Law Office of William Jang, PLLC, today by calling us at (512) 323-2333 to learn more about your legal rights and options and find out how we can help you.